Ketchikan is fully equipped with grocers, pharmacists, liquor stores and hardware stores to fulfill needs from picnic supplies to fishing gear. A host of gift, jewelry, curio shops, bookstores and art galleries give plenty of options for the perfect Alaskan souvenirs as well. 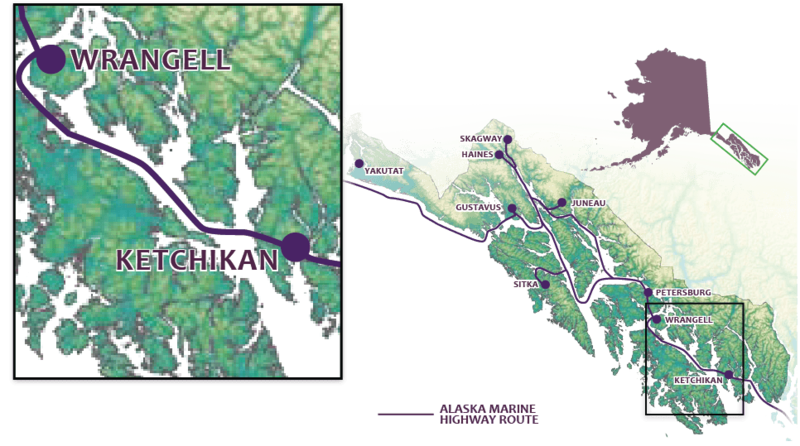 Ketchikan features a variety of restaurants and eateries, most of which serve locally-sourced Alaska seafood. Favorites include: creamy seafood chowders; crab and shrimp folded into omelets, salads or sandwiches; salmon, cod or halibut, that is smoked, sautéed, broiled, battered or baked in an elegant sauce—or traditional fish and chips. Casual or formal dining options are available, or plan a picnic by grabbing bites from a deli for a savory meal to go during your Ketchikan adventure.